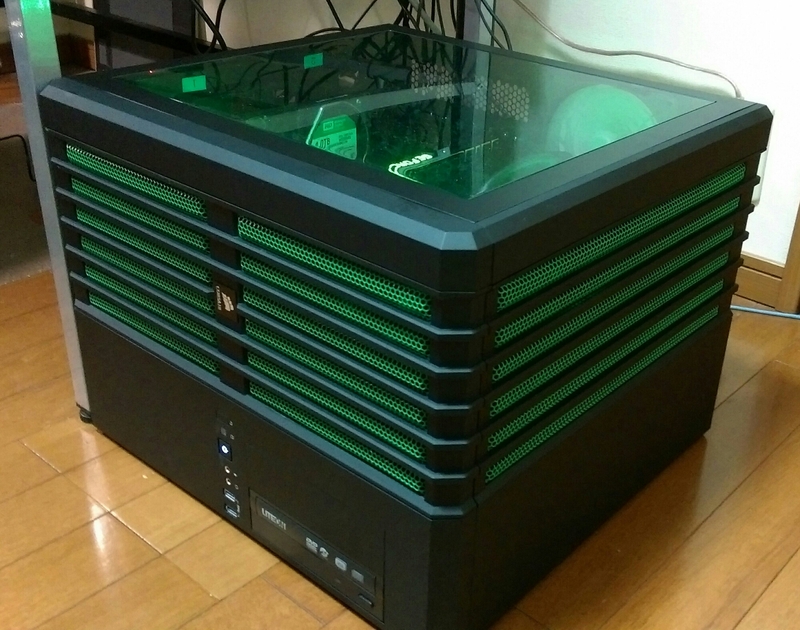 So, a trip to Akihabara got me a fairly cheap Lepa AquaChanger240 but in my hurry to get a cooler I had underestimated the size of this monster. The thickness of the cooler with fans mounted is about 5.5cm – no way it would fit in the PC case, even though it’s a full tower. As a result I found myself looking for a new case. Overclocking clearly has its consequences. 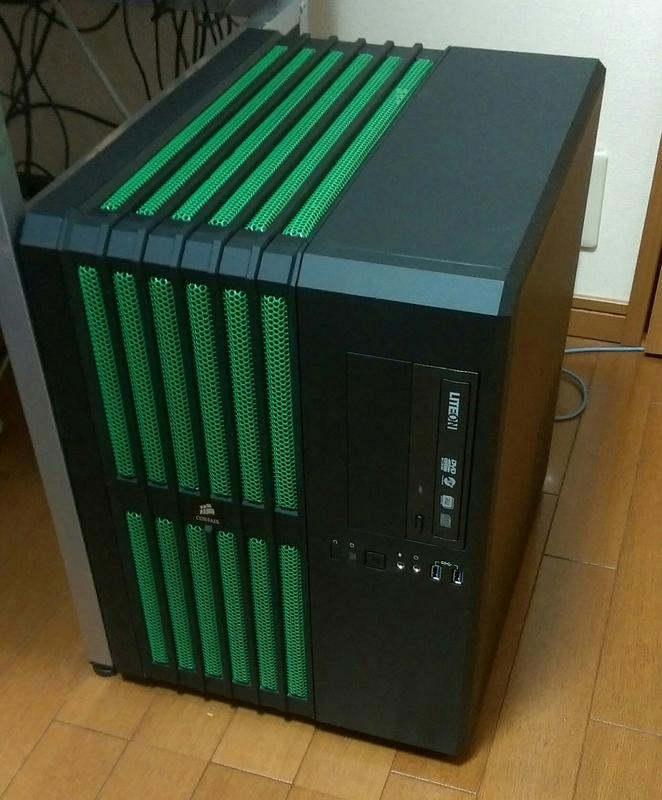 Yet another trip to Akihabara resulted in the beautiful and spacious Corsair Carbide Air 540. Awesome to look at from both the outside and inside thanks to the ease of which cables can be kept hidden in the second chamber. 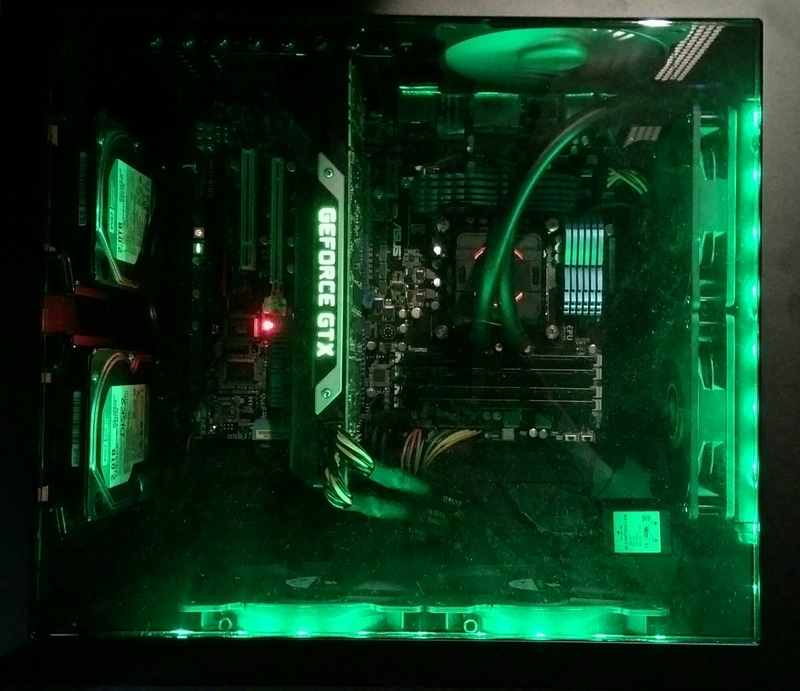 Since I wanted to go with green LEDs to light it up it made sense to give it a paint job at the same time. The normally black grilles on top and front are now a bright green. The case is extremely easy to disassemble which helped a lot in removing the parts for painting. The Lepa CPU cooler works fantastically well. The processor – an Intel i7 2600k, has been clocked from the base 3.4 up to it’s current 4.6 Ghz. Even under severe stress testing the temperature stays in the 50’s.